Sunny two bedrooms apartment with loggia where you can enjoy amazing beach view, just 50 meters from the sandy beach and tennis courts. Apartment SPALATO **** is a sunny apartment with loggia where you can enjoy AMAZING BEACH VIEW. 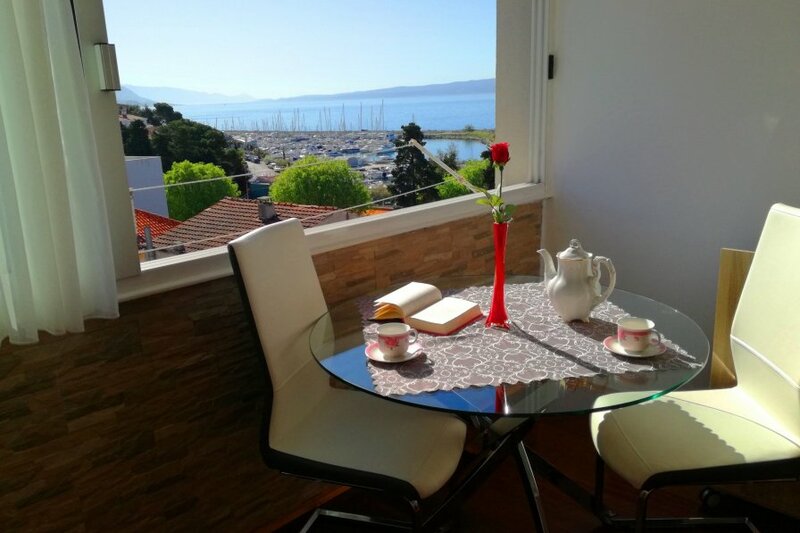 Apartment is situated in popular touristic part of Split named Bacvice-Firule, just 10 minutes walking to the Old Town and Diocletian Palace, and only 50 m to the sandy beach and tennis courts, 200 m to the popular sandy beach Bacvice (blue flag). It has an ideal location on the third floor of 4 , no elevator, with public parking - free.. Apartment offers a wonderful panorama view of the sea, Brac island and archipelago mountain Biokovo. Apartment located near to the sports resorts; tennis club, marina Zenta and diving club. Bedroom 1 - consists of a king size bed , LCD TV. Bedroom 2 - has double bed, sofa bed for one person (140 x 200), satellite LCD TV, air-con and internet wireless connection. Parking free in front of house. In a word this is the area of the best day and night life of Split where visitors are able to enjoy Dalmatian kitchen, vines, recreation, sport, crystal blue sea and at the same time enjoy being in the heart of Split.